Have you ever wondered what it takes to become a real estate inspector? A real estate inspector is the person that combs through a property to make sure all building codes, structural integrity and other important aspects of a building or home are meeting safety standards. 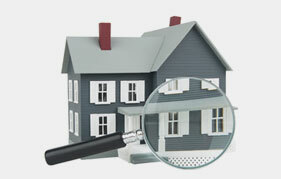 Also, a real estate inspector will give buyers the information they need to make sound real estate investments. Choosing to be an inspector takes work, but is a career that is worth it. JMark Inspections is here to talk about the process involved when someone wants to become an inspector. When you decide you want to become a real estate inspector in the state of Texas, there are three different levels you must pass through. Here is a rundown of what each of these licenses means, and what it gives you the ability to accomplish when you have them. This is the very first license you will receive as you become a real estate inspector. 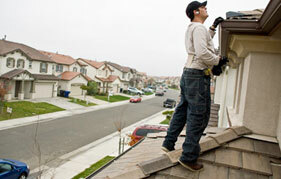 When you have the license of apprentice inspector, you don’t have the freedom to work on your own just yet. You have to be working under a professional real estate inspector. Not only do you need to gain experience at this point, but you also need to accomplish certain educations requirements all while under the supervision of the professional real estate inspector before you are ready to move on to the next level in real estate inspector licensing. This inspector license is known as an intermediate license. This is the next step following the completion of all the requirements noted in the apprentice inspector license. You have to not only have the experience needed, but to have also passed the exam to move on. 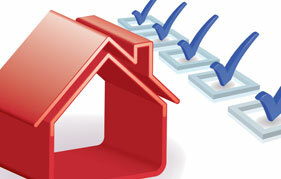 As a real estate inspector, you still aren’t quite ready to be working on your own. You will be continue to expound on your education as you work under a professional real estate inspector for the time being. Following another exam as a real estate inspector, one can then move on to become a professional real estate inspector. This is the highest inspector license available in the state of Texas. This license gives you the ability to work as an inspector on your own and not under the supervision of anyone else. The steps listed above are the traditional steps that must be taken to get to professional real estate inspector status. However, there are some instances where someone can test out and gain substitute experience to replace apprentice licensing. If you are looking for a real estate inspector to complete a home or building inspection before purchasing a property, you can count on the experts at JMark Inspections to do the job right. We will go through the property with a fine toothed comb to ensure you are making a sound investment. Call us today!